Buying a guitar amplifier is a very personal decision. You have to consider what tone you are going after, what type of music you want to play with it, will it be used in your home studio, and so forth. Thankfully, there are a lot of options, so you aren’t necessarily stuck with a single tone when you buy an amp (although you can definitely go that route as well). I recently plugged into my very first Randall amplifier, one of their MTS modular tube combo line. Not only is the amp modular in terms of tone, but it also has outputs that let me plug it into my Mac, so I can record it directly into apps like Logic and GarageBand. So, what is a modular amplifier? It’s an amp that you can slide out the tone control circuits (often known by its more technical term, guts) and replace it with another module that is based on a different circuit—often with completely different tubes—which gives you a completely different tone. The beauty of this system is that you are still playing through a tube amp, which gives you that rich, warm tube sound, regardless of the type of tone you are looking for. The amp I tested was the 15-watt RM20B, which comes with a 12-inch Celestion Greenback speaker. This amp has a single modular channel, so to get another tone I need to shut down, pop out the module and put a new one in. This takes all of 10 seconds, so it’s not a big deal. 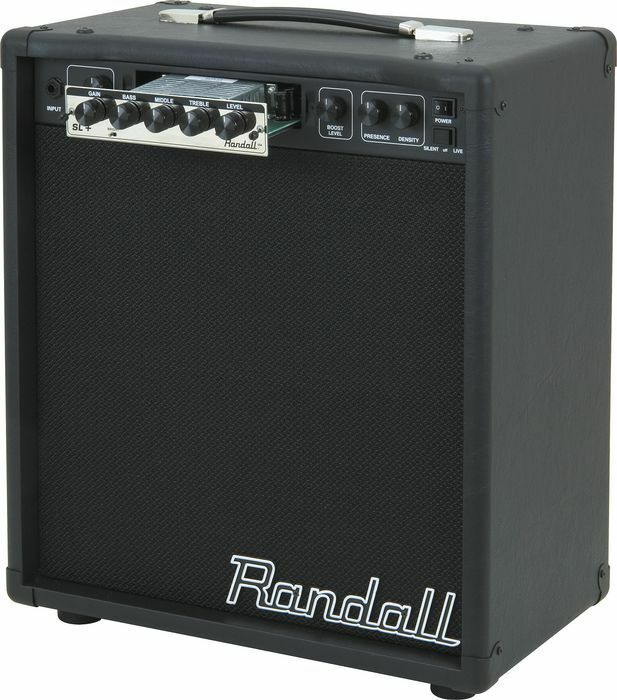 Randall takes this a step further, by including a switch—located on the front of the amp—to enter into a “silent” mode. This allows you to monitor the tone going into your computer without hearing anything coming out of the amp. You can leave the amp speaker on if you wish, but it’s nice to have the option to monitor the sound. This feature is perfect for anyone who has tried to record that overdriven, cranked-up tone late at night when your spouse is sleeping. Randall offers fourteen modules that range from the default Randall tone and Stevie Ray Vaughan to Zakk Wylde and Eddie Van Halen’s famous brown sound (the link above includes sound clips for all of the modules). 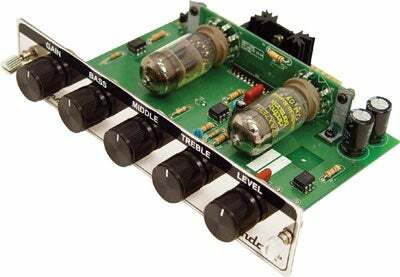 Each $200 module has controls for Gain, Bass, Middle, Treble and Level. The amp itself has controls for the footswitchable Boost Gain, Boost Level, Presence and Density. I really like Randall’s tone, so I was happy with the default module, but I tried the Ultra, SL+ and Clean modules. All provided a nice warm tone. I was also struck with the power I got from such a small amp. The RM20B is not only a great practice and recording amp, but you can easily play smaller venues and clubs with it. A friend of mine purchased this same amp and now gigs with it all the time. His band plays a lot of AC/DC and he finds the tone fits perfectly. He mics the amp through the house PA and is very pleased with its performance. If you need to switch from a clean to crunchy tone in your songs, you might want to look at one of the larger combos or heads, which can fit up to three modules. The MTS series of amps really shows Randall’s understanding of what guitar players are looking for these days. We want to have tone flexibility and the option to record a direct signal from the amp to the Mac. With a street price of $770, the RM20B is a rugged, well-built amp that will certainly meet the requirements of anyone looking for an amp at home or to play small venues.